Software needs updating. All software. Including the software that powers your website. It's always recommended you install WordPress Core, plugin and theme updates when they become available. Why upgrade your WordPress website? Before doing any kind of upgrade, make sure you have a recent backup. Backups will enable you to roll back changes if you uncover a plugin conflict or something which doesn’t work right with the upgrade. 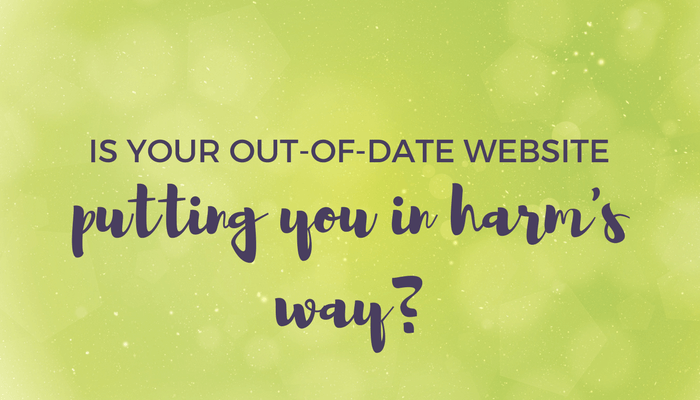 Are you keeping your WordPress website up-to-date? Remember, when updates are neglected, WordPress websites can become vulnerable. Do you have a WordPress website? Do you struggle with maintenance, security and updates? If you’d like a helping hand in managing your WordPress website, I offer ongoing support. More information on my WordPress Care Plans can be found here. Don’t make this big mistake! Why would anyone want to hack your website?